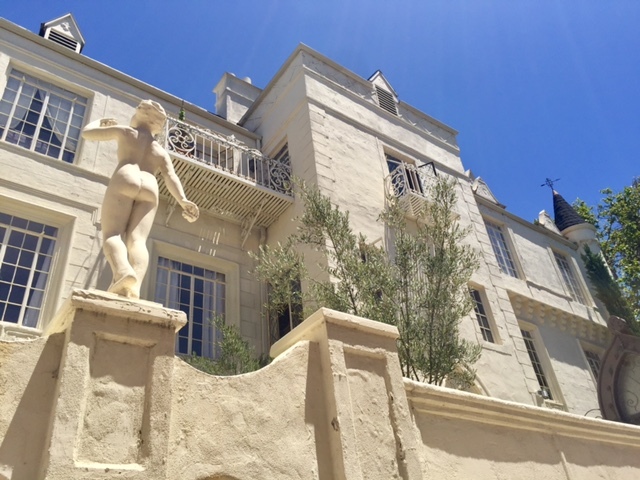 The historic 1934 Chateau Rossmore at 555 North Rossmore Avenue in Hancock Park / Larchmont area. One large room with a large closet, full kitchenette with stainless stove/oven and fridge, granite countertops. Original tiled bath in green/cream deco style. Large windows. Available @ $1,995 with motorbike parking now, and no off-street parking at this time, in future may be available @ $150. Studio faces north, east and west. Location is 2nd floor, NW back corner, well off street, nice view of surrounding buildings. 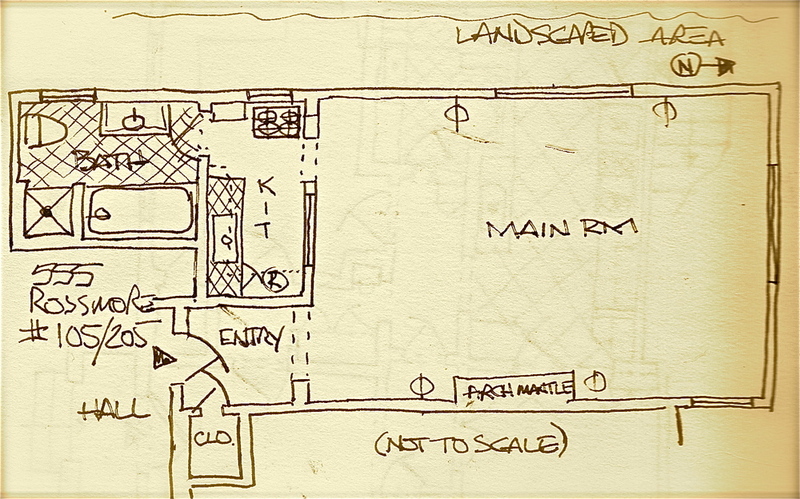 Floorplan shown is of a near identical studio, the available studio has 2 closets and a few detail differences including a galley kitchen with black granite and stainless appliances.